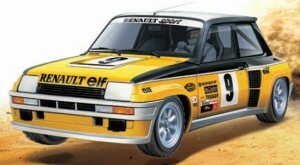 This is a 1/10 scale R/C assembly model kit of a racing truck. It is a longer version of the basic chassis from Item 58489 Avante (2011) and is matched with 100mm diameter V-pattern block tires. The truck uses a new 2.5mm thick carbon fiber lower & upper decks resulted in a longer wheelbase (275mm) which provides increased stability during high-speed off-road driving. Shaft-driven 4WD chassis features 2.5mm thick carbon fiber double-deck chassis layout with longitudinally mounted motor & battery pack. 4-wheel double wishbone suspension is equipped with aluminum front knuckles and resin suspension arms. Front and rear CVA shock units are secured to durable 3.5mm thick carbon fiber damper stays. Newly designed front & rear ball differentials included. Center unit is selectable from one-way or direct type. Comes equipped with front & rear V-pattern block tires (Width/Diameter: 50/110mm). Item 53779 GT-Tuned Motor (25T) included. Comes with truck polycarbonate body shell (Super Levant body). 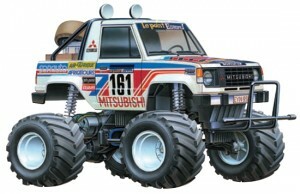 This is a 1/10 scale R/C assembly kit of a first generation Montero (also known as Pajero and Shogun in different parts of the world) It was famous for participating in off-road races such as The Dakar Rally. This R/C machine uses the same chassis components as Item 58347 Lunch Box (2005). 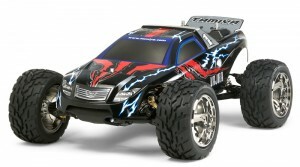 The 2WD chassis gives the hobbyist exciting R/C driving as well as fun wheelie action. Durable injection-molded body features cargo bed details, spare tire, and roll cage for heightened realism. 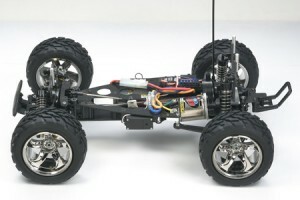 Box type frame 2WD chassis is equipped with front swing axle and rear rolling rigid suspension. The Sand Rover attracted many hobbyists to the exciting world of R/C in the early days of the radio control buggy era. Originally released in 1981, the R/C Sand Rover featured simple construction and a dune buggy body design. 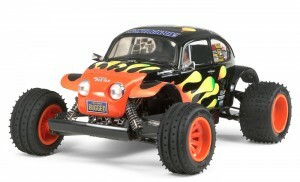 To celebrate its 30th anniversary, Tamiya is matching the classic buggy body with the modern, easy-to-assemble DT-02 chassis, making it perfect for those who are new to R/C hobby. 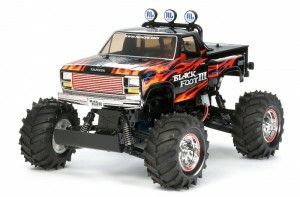 The durable resin body is molded in white and may be finished using Tamiya Color paints. The DT-02 chassis is equipped with a 4-wheel independent suspension with coil spring dampers. Semi-finished driver figure (pre-painted face & hat) included. Included Type 380 motor can be replaced with Type 540 motor to increase speed and power. 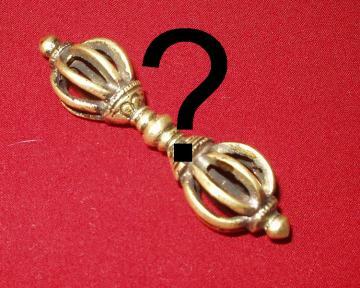 Further information will be added as soon as it becomes available to us. This entry was posted in Future Releases on July 29, 2011 by admin. More information and details will be added as soon as get them. This entry was posted in Future Releases on July 24, 2011 by admin. This entry was posted in Media on July 22, 2011 by admin. This entry was posted in Event Report, Media on July 18, 2011 by admin. This entry was posted in Future Releases on July 5, 2011 by admin. Expected 1/10 Avante Truck now named 58497 Tamiya Vajra ? Must be a really high end kit with a US retail price of approximately $800 and and expected shop price around $500. Article will be updated when we get more information. This entry was posted in Future Releases on July 4, 2011 by admin.